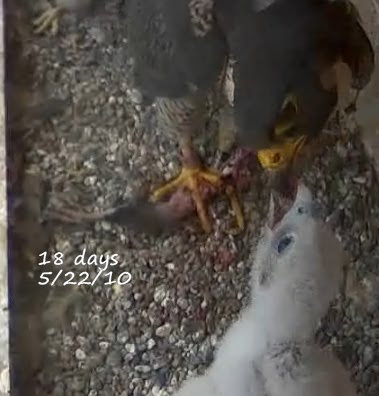 ~Peregrine Place~: ~Peregrine eyasses getting their wings! ~Peregrine eyasses getting their wings! 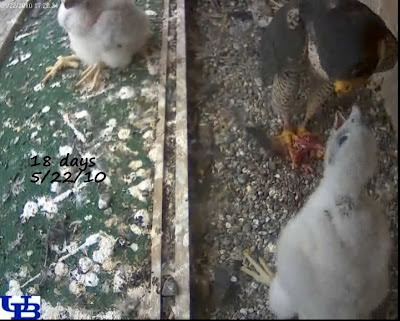 Eighteen days old, getting around the nestbox and even venturing on to the flight deck, and as you can see below, learning how to flap those cute little wings! 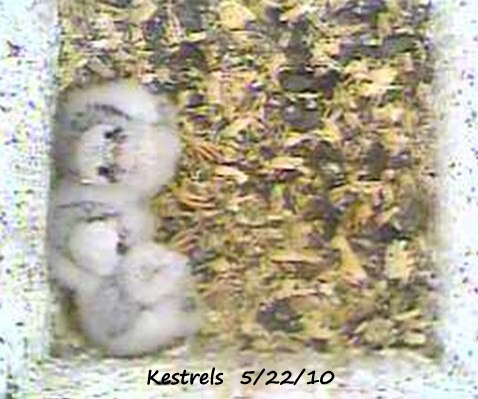 this one looks to be about ready to leave the secure walls for the great unknown. 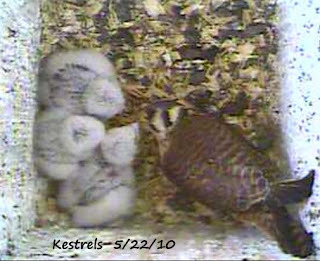 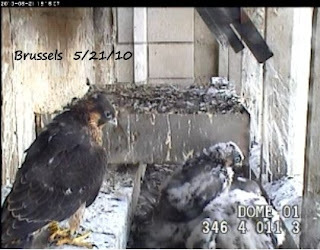 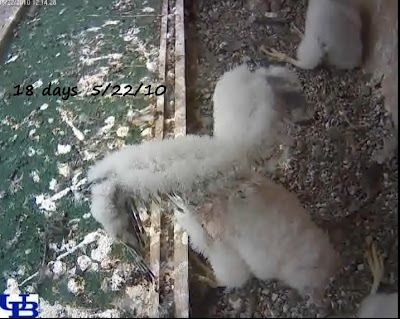 ~UB Peregrines getting so big! ~UB Peregrine workin' those wings! ~Eggs two Eyasses today in Rochester! 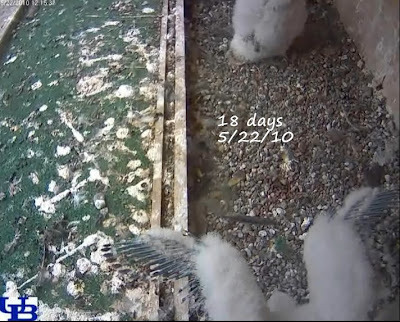 ~Great News! UB cam is now live streaming video!